Posted on January 5th, 2010 by roxxyroller in Giveaways Canada. Here is another great site on the world wide web that I have recently come across! Cana­dian Fine Artist — Com­mer­cial Designer — Illus­tra­tor - Kim Hunter totally intrigued me with all of her gor­geous art and pho­tog­ra­phy fea­tured on her site! “Con­tem­po­rary Cana­dian Van­cou­ver artist Kim Hunter a.k.a. INDIGO was born Sep­tem­ber 8th 1970 in British Colum­bia. The abil­ity to clutch a crayon was the begin­ning of an insa­tiable appetite for the arts. Kim has been win­ning awards and noto­ri­ety since her first juried art show at the age of seven. At the age of nine Kim Hunter’s fam­ily was trans­ferred to the tiny iso­lated north­ern com­mu­nity of Churchill Man­i­toba in Canada’s north. The awe­some and relent­less arc­tic wilder­ness inspired this tal­ent from a very young age. The long nine month win­ters allowed for this inspi­ra­tion to flourish. By the age of 14 being entirely self-taught, Kim was sell­ing her art, sign­ing her work “Kim McTavish” to acknowl­edge her mother’s mar­ried name as well as her ties to the north. At 18 she trav­eled, sell­ing her work and free­lanc­ing through­out Canada. In 1990 she returned to her birthplace. British Colum­bia has been the set­ting where Kim has forged a rep­u­ta­tion world­wide. The pas­sion and dili­gence of this remark­able tal­ent speaks for itself. The col­lec­tion of patrons and projects attrib­uted to Kim Hunter’s art col­lec­tion is incred­i­bly immense and diverse, cov­er­ing a huge vari­ety of gen­res and mediums. Kim Hunter’s artis­tic style is truly refined and unique in it’s clean lines and forms. A warmth and rich­ness graces all aspects of the artist’s work. The bal­ance and bold­ness of this con­tem­po­rary Cana­dian artist’s work is a per­fect unique blend of tra­di­tions, cul­ture and our mod­ern times. 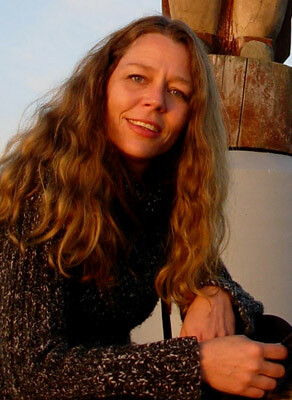 Kim started sign­ing “INDIGO” in 1995. The last few years Kim’s focus has been on paint­ings, murals, por­traits, ani­ma­tion and com­mer­cial graph­ics. This tal­ented artist is versed in water­color, tem­pura, and acrylic paint­ings, clay & bronze, papier mache’, Plas­ter of Paris sculp­ture, as well as com­mer­cial design and instal­la­tion includ­ing ani­ma­tion with a huge reper­toire of free­lance art and design as well as pri­vate and com­mer­cial fine art commissions. 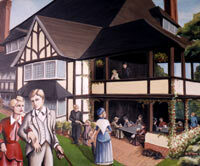 On her web­site, you can scroll through her many gor­geous pieces of art, murals, paint­ings, and much much more! You can also visit her online gift shop here to see all of the fab­u­lous t-shirts, cards, slip­pers, sou­venirs and tons more that she has for sale! Also check out all of the awe­some cloth­ing and items that she has for sale! 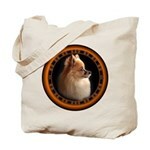 Any­thing from t-shirts to tote bags, hats, orna­ments, mugs, you name it! Kim Hunter is pretty much your one-stop shop for just about any­thing you need, here you can find beau­ti­ful high-quality prod­ucts at extremely unbeat­able prices!! 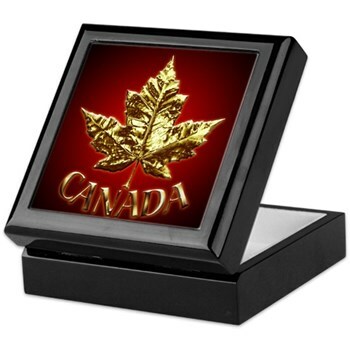 The very kind and gen­er­ous Kim Hunter has offered to give one lucky Cool­Canucks reader the oppor­tu­nity to win this STUNNING Canada Keep­sake Box made with Chrome Maple Leaf Art! Per­fect for styl­ishly stor­ing jew­elry and memen­tos, this hard­wood box show­cases a ceramic tile. Spring-loaded hinged lid stays open with­out tip­ping the box over and snaps closed securely. IT IS GORGEOUS! I love it so much, and she let me pick it out just for one of you lucky CoolCanucks!! 1)Head on over to Kim Hunter’s web­site, and tell me your most favorite item there! It will no doubt take you awhile, there are so many fab­u­lous items! Pur­chase any­thing from Kim Hunter for the dura­tion of the give­away and get 10 extra entries!! Just tell me what it was in a comment! 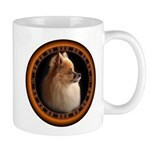 A HUGE Thank you to Kim Hunter for host­ing this great Giveaway!! I con­nect via Google. My pic­ture is (flyd60}. I’m an email subscriber…carolrector(at)hotmail(dot)com and I fol­low via google friend connect. I love com­ing across a Cana­dian Metis artist. I am an aci­tive email sub­scriber. This is just totally awe­some work!! To pick a fav is dif­fi­cult. 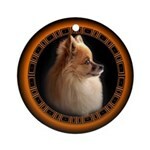 First I love the pet por­traits done on cus­tomers ani­mals. But I think the most beau­ti­ful is the paint­ing called Polar Bears cast shadows!! I just love the Win­ter Land­scape pic­ture, it so beau­ti­ful. I would like to win this box it is also so beau­ti­ful. I am a mem­ber of Coolcanucks. I fol­low CC by email. I fol­low CC by google reader. One of my favorite items is the Aurora Bore­alis Yukon Land­scape Painting! I really like her hand­made dolls! I sub­scribe to your e-mail. I love the Abstract Water Land­scape Photo print. You’re right, though…there are so many great things there! It’s hard to choose. I fol­low via Google Con­nect. I fol­low Cool­Canucks on Twit­ter as hybroan­glid. 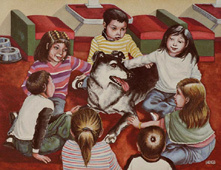 My favorite item from Kim Hunter’s web­site is the “Wolf Cubs Painting”. I am a reg­is­tered mem­ber of the Cool­Canucks Forum. My user­name there is anern­berg or alias Junior Cool Canuck. My favorite thing in her store is http://www.cafepress.com/faerie_gifts.148880170 the but­ter­fly fairy pil­low. So cute. I fol­low with Google friend con­nect too. Hi All. Thanks for all your kind com­ments. The diver­sity in your appre­cia­tive notes is very inspir­ing! THANK YOU! 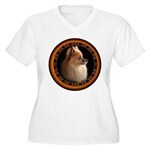 My favourite thing on the web­site is the canada dog­gie t-shirt although it was hard to pick as I really liked all the cloth­ing. I am an e-mail sub­scriber and ver­i­fied this too. Address is whtem@hotmail.com. I fol­low Via gog­glr friend connect. I am reg­is­tered in your forum as thebun. I Fol­low @coolcanucks on Twit­ter as missy_wpg ! My favorite piece of Kim Hunters’is the Orig­i­nal Sil­ver Bracelet Polar Bear w. Seal, Whale & Sun Ojib­way /Cree / Metis One of a Kind Sil­ver Jew­elry. WANT TO WIN IT CAUSE MY FRIEND IS A CANUK! I love the wolf cubs painting. Sub­scribe to your rss feed. I love the Orca paint­ing. Fol­lower of @coolcanucks on Twitter! I like the Arbu­tus Tree Draw­ing, and to sub­scribe, and follow. I like the Sun­set pic­ture, I fol­low and sub­scribe by email. I like the MOOSE PAINTING. It reminds me of the TV series CBS’s famous Amer­i­can tele­vi­sion series “North­ern Expo­sure”. I have many fond mem­o­ries of my North­ern Expo­sures. Love the paint­ing of the moose! The Mar­lene Diet­rich Por­trait is my favorite item. I love the Bear Cubs Paint­ing! I sub­scribed with the email address lilyk@mail2world.com. I fol­low your blog.